Yes, let's talk about those Republican ideas for health care. The idea that Republicans haven’t had a chance to present their ideas on health care reform is a bit mind-boggling. Five separate congressional committees had hearings; each chamber had floor debates. That’s hundreds of hours the GOP had to talk about health care, all of it in public view and televised on C-SPAN. And that’s not even including all of the unofficial channels at the Republicans’ disposal. Generally speaking, the party of Rush Limbaugh and Fox Television doesn’t struggle to get across its message. But if President Obama is determined to give Republicans one more public forum for presenting their health care agenda, as he will do when he meets with GOP leaders on Feb. 25, maybe that is just as well. For most of last year, Republicans spent their time attacking Democratic plans for reform, rather than describing their own. But now they’ve put a plan on the table. Showcasing that plan--and comparing it to what the Democrats have proposed--might help clarify a few things. The Republican health care plan is part of the "Roadmap for America's Future." 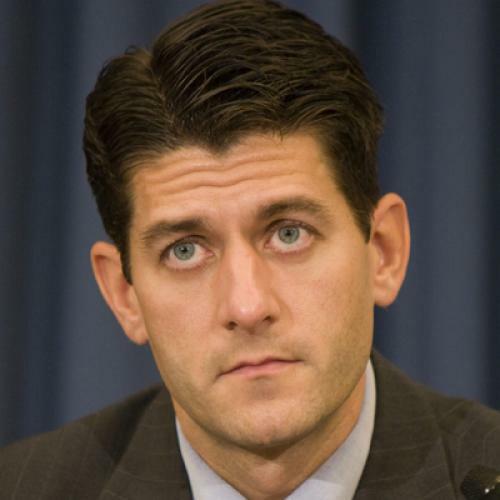 Its chief architect is Paul Ryan, ranking Republican on the House Budget Committee and a rising star in the party. Republicans boast that the Roadmap is serious plan to get the federal budget under control, which turns out to be a fairly large exaggeration. As Howard Gleckman of the Tax Policy Center has observed, the Roadmap doesn't account for trillions of dollars in lost revenue from its tax cuts. Yes, that's trillions with a "t" at the front and "s" at the back. The health care portions of the plan, though, really would reduce what the government spends on health care. And they would do so, primarily, by extracting money from Medicare. Instead of continuing to provide coverage directly, the government would issue vouchers that seniors could use to buy private insurance. The value of the vouchers would rise far more slowly than Medicare spending is expected to grow if nothing changes. According to the Congressional Budget Office, Medicare will soak up more than 14 percent of gross domestic product by 2080. If the Roadmap were to be adopted, CBO says Medicare would take up less than 4 percent. As Ryan explained during an illuminating interview with the Washington Post’s Ezra Klein, the hope is that converting Medicare into a voucher scheme would prod seniors to shop around to find the best value--that is, the best insurance policies, the best hospitals, the best doctors--and, in so doing, get health care that is as good if not better than they would have otherwise. That all sounds perfectly innocuous: Who wouldn’t want seniors taking the initiative and hunting around for the best bargains? But it’s not clear how many seniors really have the ability to navigate the world of health care with the sort of sophistication to really hunt down the most cost-effective care, even if, as Ryan promises, they’d have more information at their disposal. At the very least, you'd want to give seniors ironclad protections when it comes to the design of insurance products--making sure a wide array of services were covered and that out-of-pocket spending were limited. But wait a minute--don’t the Democratic reform plans also take money out of Medicare? They sure do. But there are several key differences. For starters, the Democrats’ reductions don't appear to be as large as what’s envisioned in the Roadmap. Also, under the Democratic plan, most seniors would still be getting their coverage directly from the government, which has lower overhead than private sector insurers. So every dollar the Democrats spend on seniors would actually go a little further. No less important, the Democratic plans wouldn't simply slash spending and let the market sort itself out. Instead, the Medicare cuts are part of a broader package of reforms designed to change the way Medicare pays for services. These reforms are designed to reward efficiency (by, for example, paying more to doctors that join integrated group practices) while penalizing inefficiency (by, for example, paying less to hospitals with high rates of infection or, eventually, paying less money for drugs that don’t work that well). They are also designed, quite frankly, to push down the prices that providers charge. This is a critical difference. If you simply reduce the money flowing into Medicare, relying only on the wits of beneficiaries to figure out how best to spend what’s left, seniors are bound to end up with less care. That's the Republican method. But if you also introduce system-wide changes that reward more efficient care and force down provider prices, the dollars in the program really might go farther--so that spending less doesn't always mean getting less. That's the Democratic approach. "The slowdown in the Reid [Senate] bill is predicated on specific policies which, according to MedPAC and others, shouldn't reduce beneficiaries' access to care," says Paul Van de Water, a senior fellow at the Center on Budget. "The Ryan bill just gives every beneficiary a voucher and makes them fend for themselves in a poorly regulated private market." The irony is that, for much of the last year, Republicans have been scaring the bejeezus out of seniors by telling them that Democrats were out to destroy Medicare. But the Roadmap makes clear that it’s not Democrats who seek massive, disruptive changes to the program. It’s the Republicans. If the coming engagement between the Republicans and President Obama help the public to understand that reality, extending the debate might actually be worth it.